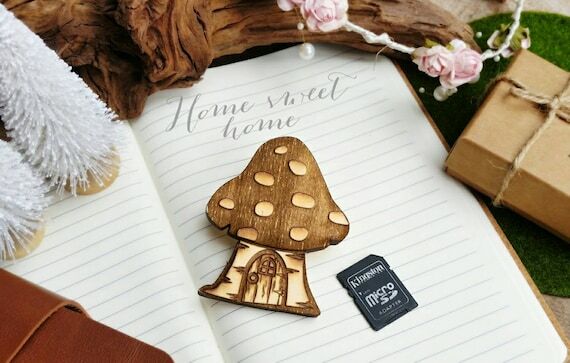 If you are a wedding photographer, this mushroom SD card case could be a better way to present your work to your client. The wedded couple could then place it as a decoration to their garden theme wedding guestbook. You may place your memory card storage in this case to keepsake your images/videos of those days that you have with family and friends. As a wedding gift, It can also be a best complement to your wedding gift box. You may choose either as it is or to have it as a magnet or brooch to wear it anywhere with you.